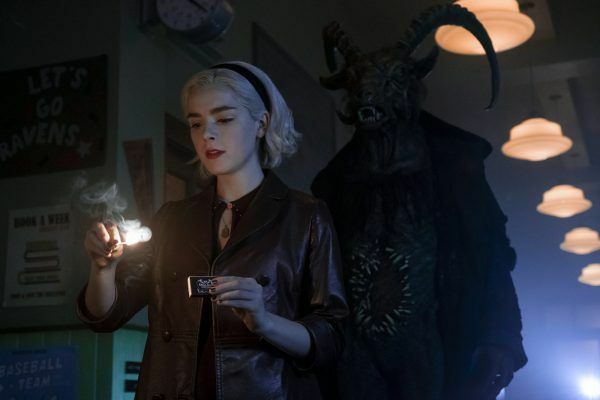 One of the breakout hits of 2018 was the Netflix offering Chilling Adventures of Sabrina, a decidedly darker take on the life of the burgeoning witch Sabrina Spellman than the late ‘90s sitcom Sabrina the Teenage Witch, as well as its original Archie comic. 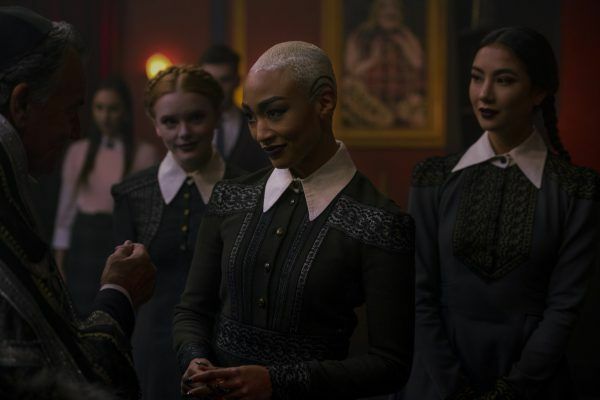 Audiences thrilled to Netflix’s scary, twisted tales of this reimagined world of Sabrina. When we last saw Miss Spellman, she had seemingly embraced the dark side, signing The Book of the Beast, thereby pledging her allegiance to The Dark Lord, ol’ Satan himself. Manipulated and pushed to this act by the deliciously evil Miss Wardwell (AKA Madam Satan), Sabrina has fundamentally changed-or has she? Always with one foot in the witch world and the other in the mortal world, Sabrina is also one smart cookie. She seeks to change the outdated ways of the witches, and signing the book is just one more step in her plan to make the two worlds coexist peacefully. 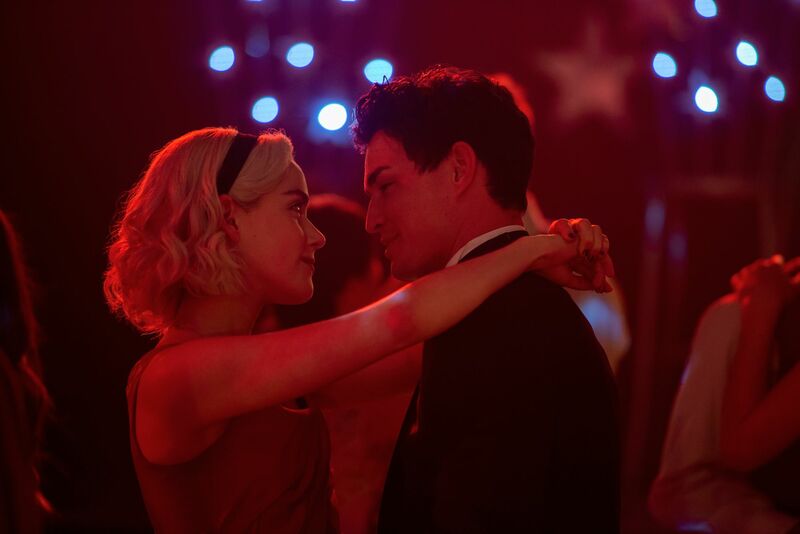 Collider was recently in Vancouver where the show is produced, and we spoke at length to series star Kiernan Shipka about Sabrina’s journey and what to expect in Season 2. If you need a refresher, you can check out the trailer for Season 2 (or “Part 2” as Netflix styles it) here. QUESTION: How much has Sabrina embraced the dark side, or is this all just a ploy? KIERNAN SHIPKA: I just think she’s embracing it personally. I think that her duality is strong. I think there’s a strong part of her that’s mortal, but I do think that there’s that dark side in her and playing with that has been super fun. I think she’s really excited about it right now. She’s pumped on it. 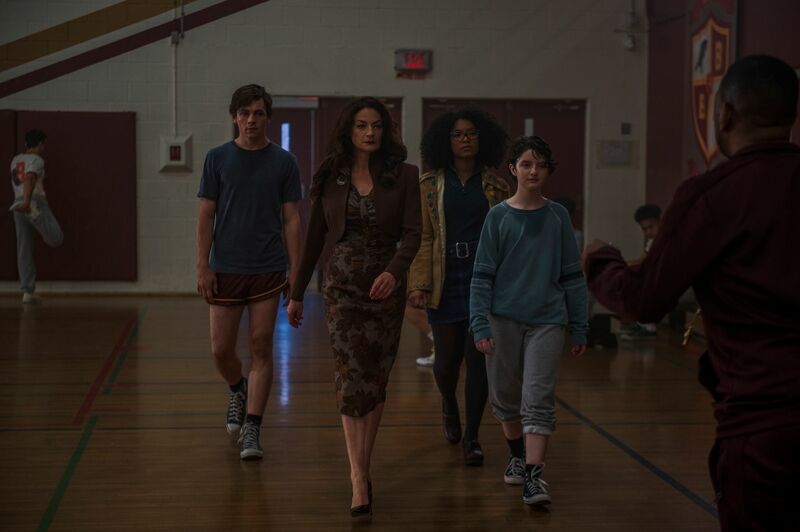 At the end of Season 1 we saw Sabrina joining the Weird Sisters: they’re all walking together. Are we going to see her embracing them more this season? SHIPKA: It’s interesting. I think that the Weird Sisters and Sabrina have always had a really complex relationship and that definitely doesn’t die in the second season. We definitely see a lot of them, but I don’t think that it’s smooth 24/7. It’s not like a Rosalind or Susie relationship. It’s definitely something a bit more complicated and rocky, which is interesting. But yeah, we do see a lot of them and it’s really fun. Speaking of Roz and Susie and the bringing of the two worlds together. What’s that going to be like? Is that going to go well? How are the two worlds going to exist together? SHIPKA: The two worlds are interesting. Clearly, they’re still really far apart, but they just feel an inch closer, which I think just sort of adds a bit of tension and a bit of excitement to the whole thing. Obviously, now that Sabrina’s friends know that she’s a witch and they’re not about to be killed, they can talk about it more and it’s more of a sort of a chill environment in that regard. It’s definitely a massive sort of shift in the friendship because they know so much more about her. How torn up is Sabrina over the state of the relationship with Harvey? Where do they stand at this point? SHIPKA: I think, to a certain extent, there’s that love that’s always going to be there. I do think that she is torn up and I do think that she is a little broken. But I think that Sabrina’s a fixer. She likes to fix things, so she doesn’t want the relationship to be awkward. She wants the relationship to be whatever it is. 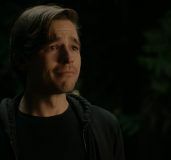 So, I don’t think we’re going to see them as enemies, but I think we’re gonna see a very different Harvey and Sabrina and in the second season just because both of them have grown so much and lost people and gained things. Throughout Season 1 she gets closer to Nick. What can you say about their relationship? SHIPKA: Yeah, I think obviously Sabrina has this love for Harvey that will never go away. But at the same time, she’s a young girl and she wants to have fun and Nick is hot and awesome and she loves him in many ways. I think that they’re really fun partners in crime in the second season, without delving too far into exactly sort of what they develop into. I think that Sabrina needs a warlock in the second season to help her get done a lot of the things that she needs to get done. She does most of the things on her own anyway, but her support system is largely coming from the witch side in the second season. And I think Nick is one of the few witches or warlocks that believes in her and that has her back, and that doesn’t look down on her and think less of her. How will her relationship with Miss Wardwell continue to evolve? SHIPKA: It is always evolving, but the Miss Wardwell character always keeps me on my toes. I never know what’s gonna happen next. The relationship definitely evolves in a much different way. Sabrina feels a little more understood by Miss Wardwell and perhaps the more understood she feels, the more seen she actually is by Miss Wardwell in a way that Sabrina doesn’t even know is happening. But clearly, that’s one of the few relationships in the show that Sabrina is a bit oblivious to. 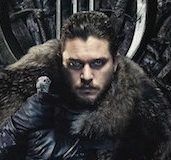 I think that that’s really interesting and we’re going to see that play out as the season goes on and as both of their agendas become increasingly different, it results in some shenanigans of sorts, shall we say. We don’t normally get to see teen girl protagonists who not only have such power but also do morally ambiguous things and I feel like that’s something that’s really unique about Sabrina. How was it for you to play that kind of character? SHIPKA: It’s been fun. 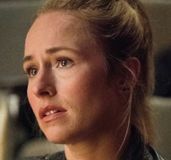 I mean obviously playing someone that has a dark side as well as this good heart, which I truly believe she has, it’s interesting cause you want to play that person like a real human that’s making decisions. And clearly, Sabrina’s made some mistakes. But at the end of the day, my main goal is to make her a human being. It’s not to make people like her, it’s not to make people dislike her. It’s truly just to make her Sabrina and the rest can be up to everyone else however they want to interpret that. They totally can. But you know, my focus is just making her understandable because she’s a complex character. In the first season Sabrina kind of pushed back against the church and some of the rituals. Now that she has signed the book, how much will she continue to push back against kind of the church norms? SHIPKA: Yeah. Her signing the book was definitely strategic. It definitely wasn’t surrendering by any means. If anything. I think it was taking a step forward in her agenda, and it was just what needed to be done. Sabrina definitely doesn’t agree with the antics of the Church of Night and fights strongly to change that. I think that’s pretty much always on her mind to a certain extent. What lessons did Sabrina learn in the first season about the use of magic? What she’ll either continue to follow in the second season or that she will ignore? SHIPKA: Yeah. I mean, don’t go resurrect your boyfriend’s brother, for sure. That would be a big no. I think that she just worked out a lot of kinks in the first season as far as it was her first time using magic really to a large extent. And I think that everything has a price. That’s something that you’re always gonna hear in this show. You’re always going to hear that everything has a price and that when you use magic, other things happen. And I think Sabrina’s becoming more aware of that and her using her powers, knowing that the price becomes more apparent. But sometimes she still goes too far and sometimes she feels like she could have done something else. I think it’s about her finding her own power, living on her own, and being more in control of her powers in the second season, just because she’s gaining confidence and strength as she gets older. In the first season your character really steered to the mortal side. Is the idea for her to find a real balance, or do you think that she really is more one way than the other? SHIPKA: That’s an interesting question and I think that I have an idea of what I think that answer is. I think we’re going to see it unravel. And at the end of the day, I don’t think there is a true balance and I don’t think there’s a place for her. In the witch world and in the mortal world, I think her life is going to be ever changing, and maybe she’ll find a spot that feels like it’s right. But there’s a long way to go before that. There is a very long haul to go before Sabrina finds any stability, I think to a certain extent. But, you know, the show comes down to family and friendships. And I think both her friendships and her family relationships are so rooted in love, so it doesn’t matter if they’re witch or mortal. Sabrina’s parents were a witch and a mortal, and I think that fascinates her constantly. So, I think that’s sort of a big overarching theme of the show, how witches and mortals can come together. And I think Sabrina has a strong vision that she wants that to be her future. Season 2 of Chilling Adventures of Sabrina premieres on Netflix April 5th.